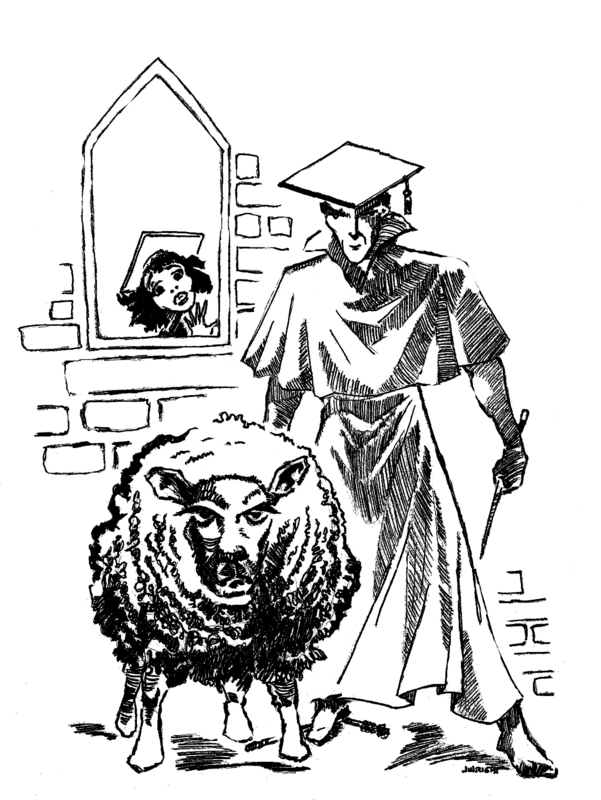 In honor of the upcoming release of the next book of Unexpected Enlightement, here is another sheep-themed picture to capture. Is it just me, or does that sheep look a bit worried about the stick in the hand of the guy behind him? Considering that that sheep was a human being just a minute before that fellow used that stick (wand) probably. "You can't knit while it's still attached, dimwit!" Two hours to graduation and you forgot the sheepskins? I'm on it!